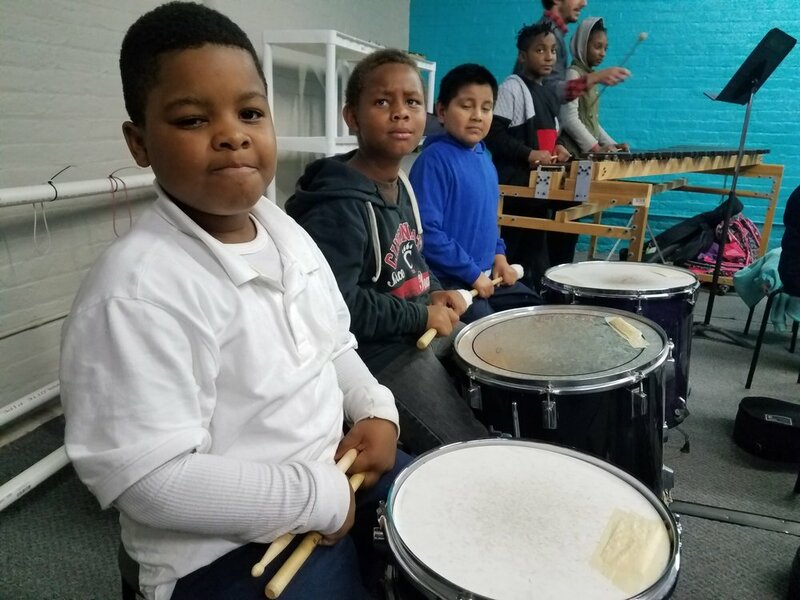 Students in the percussion program have the opportunity to learn a wide array of percussion instruments, including marimba, glockenspiel, snare drum, cymbals, drum kit, and more. Currently in its second year, there are 10 students enrolled in the percussion ensemble. Percussion Teaching Artist Ben Sloan is also creator of Price Hill’s Percussion Park, an installation of outdoor percussion instruments just down the street from MYCincinnati.